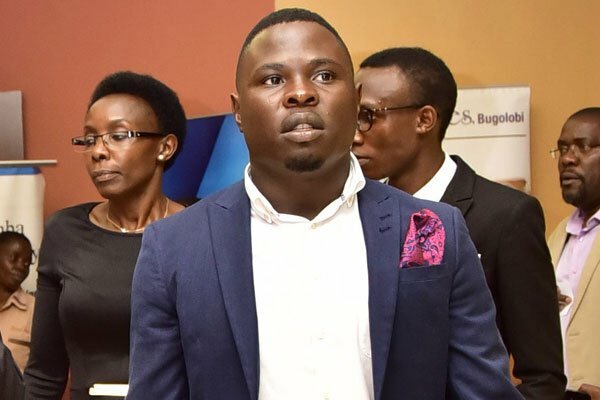 MANIPAL – Doctors at Manipal Hospital in India have taken Mityana Municipality Member of Parliament Francis Zaake off oxygen support, his family has revealed. Mr Zaake has been at the specialist hospital for nearly three weeks, seeking treatment following alleged torture he suffered at the hands of security operatives in Arua on August 13. Although he has largely been on oxygen support in the hospital’s Intensive Care Unit since he was brought there, his wife Bridget Namirembe on Wednesday said there has been a remarkable improvement in the MP’s health. She revealed that he is now able to breathe on his own but with a lot of pain. “His current situation right now is that he is still unwell with pain around the neck, lower back, head and the lower limbs, he is off oxygen. So, let us hope for the best,” she said in a telephone interview. Last week, Ms Namirembe revealed that doctors had found foreign substances in the MP’s blood and on Wednesday, she said a blood analysis is currently underway to ensure that the lawmaker receives thorough and complete treatment. Zaake is among 35 people, including MP Robert Kyagulanyi, aka Bobi Wine, who were charged with treason following the stoning of the Presidential convoy in Arua during the chaos that marred the municipality by-election on August 13th. Zaake was among the MPs, including Betty Nambooze, who were badly injured when security operatives stormed Parliament in the chaotic debate that surrounded the passing of the Constitution Amendment Bill, who led to the removal of the age limit of the president from the constitution. At the time, Zaake spent several months out of the country for treatment and it is believed that the injuries he sustained then were reopened in Arua.